Since travel-related posts get a lot of traffic on this site, I thought I'd share some of the tips I've learned or heard from others. I'd also like to hear your packing tips, terrors, and the like. 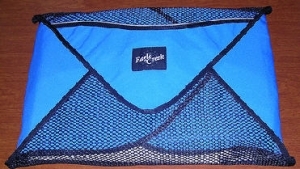 It all started back in 2005 with my post about my passion for the Eagle Creek Pack-It Folders. I still use these and they are far better than anything I've seen at helping me look neat and tidy on my many business trips. You can see pictures of how I use them in my post at LifeHack.org. Verdict: Eagle Creek Pack-It Folders are among my business travel essentials, and I use them for vacation travel as well. In discussions about packing, the question about Rolling clothes usually comes up. I have found Rolling to be inadequate for my professional outerwear. I use rolling only for underwear, casual t-shirts, and things like that. Rolling is also acceptable for things like Boy Scout campouts where your clothes don't need to look crisp and unwrinkled. The main advantages of Rolling is space efficiency and the fact that you don't need any special gear, while the main disadvantage is its tendency to produce very noticeable creases if you don't roll things perfectly. Verdict: Rolling is good for casual clothing, underwear, undershirts, etc. Mixing these two techniques can be very effective - use the Pack-It Folders for dress shirts and pants (though pants can also be folded and laid flat in the suitcase with little risk of ugly wrinkles), and roll your other clothing so you can tuck the little rolls in around the Pack-It Folders so you don't waste any space. Use Eagle Creek Pack-It Folders for your dress clothes or other clothes for which a neat, smooth appearance is important. By the way - you don't need one Pack-It Folder per shirt - I typically get between 5 and 8 shirts to fit in one of these - you fold and stack them inside the folder, then use the Velcro-secured flaps to hold them together. Roll your underclothing and casual clothes, allowing you to fill in space around the Pack-It folders to get the best use of the space in your suitcase. Give your clothes a fighting chance by buying wrinkle-resistant, easy care, or no-iron dress clothes. I love Lands End's no-iron clothes, and Nordstrom's SmartCare line for men. More packing tips on the way - stay tuned! And please share your own tips.